Recently, mobile phone photography has made great progress, at least in terms of pixels. From the beginning of 300,000, to the later 12 million, 24 million, and even now 48 million. At present, the 48-megapixel camera has Samsung’s GM1 and Sony’s IMX586. It also claims 48 million pixels. What is the difference between the two cameras? Xiong Junmin, general manager of Honor products, released the same 48 million pixels, what is the difference between Samsung GM1 and Sony IMX586? In the article, he elaborated and analyzed the differences in the article. According to Xiong Junmin, the IMX586 is Sony’s new stacked CMOS sensor for mobile phones. The sensor has an effective pixel count of 48 million. Its biggest feature is the use of Quad Bayer arrays. The Quad Bayer array is expanded to 4×4 and is 2×2. Arrange RGB adjacent. The data disclosed by Samsung’s official website can also prove this point. We can see in the specification table of GM1 that its resolution is 4000×3000, which is 12 million pixels. 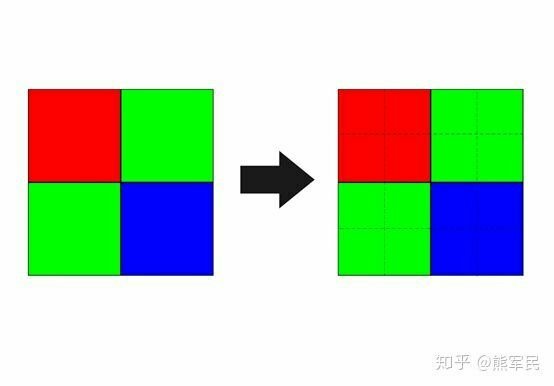 Therefore, the fundamental difference between IMX586 and GM1 is that the former can achieve true 48 million pixels by transforming the pixel structure, which makes the photo have stronger resolution, and can be more clear after zooming, which is also the highest pixel. The advantages. The GM1’s 48 million pixels is essentially 12 million pixels. Even if the phone can output 48 megapixel photos, it is more like interpolation. The IMX586 is truly a traditionally defined 48 million pixel. The GM1 specs and product site state that it has 48million native pixels but to create a bright image it can bin the pixels together to create a 12mp photo. Just like the Sony.